Trattoria Da Valentino – entrance. 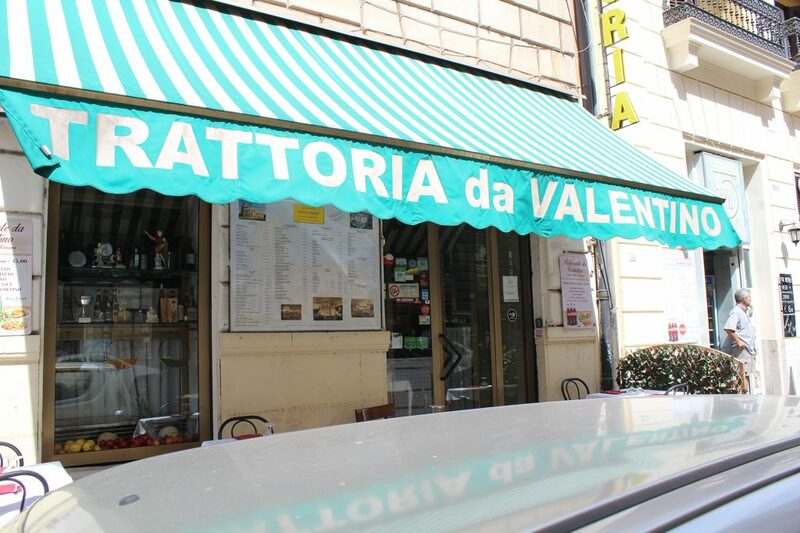 Despite being in a very touristic area, Trattoria Da Valentino was a positive choice for us. 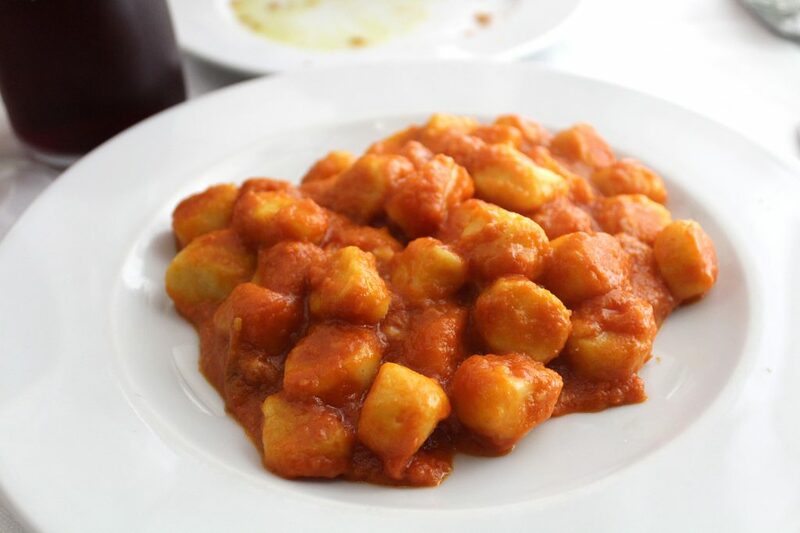 There is a good variety of traditional Italian dishes available and I could spot locals having lunch with their families as well. 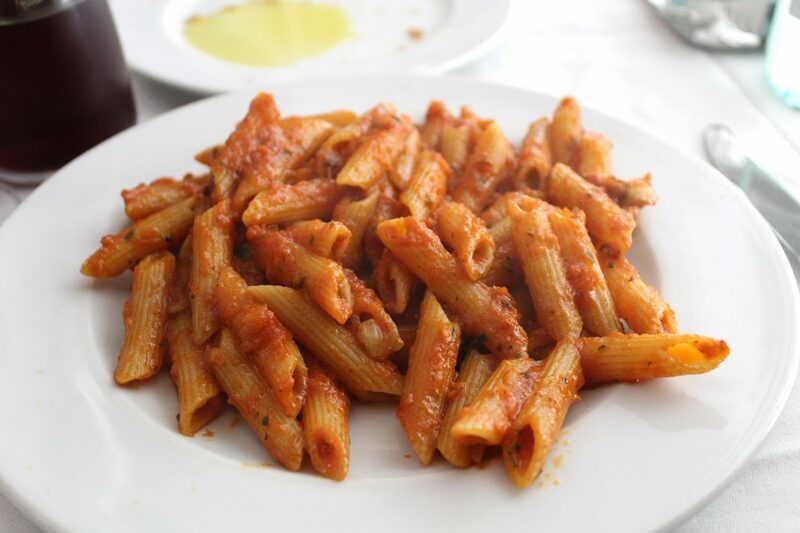 The atmosphere was super Italian and the lovely staff brought up our lunch experience to another level. You can order à la carte, but we decided to go with the set menu available for lunchtime. The menu consists of an entree, first course, main course, and a drink (including wine!). I forgot to keep the receipt to check the total price, but I’m quite sure it was around €20 per person. 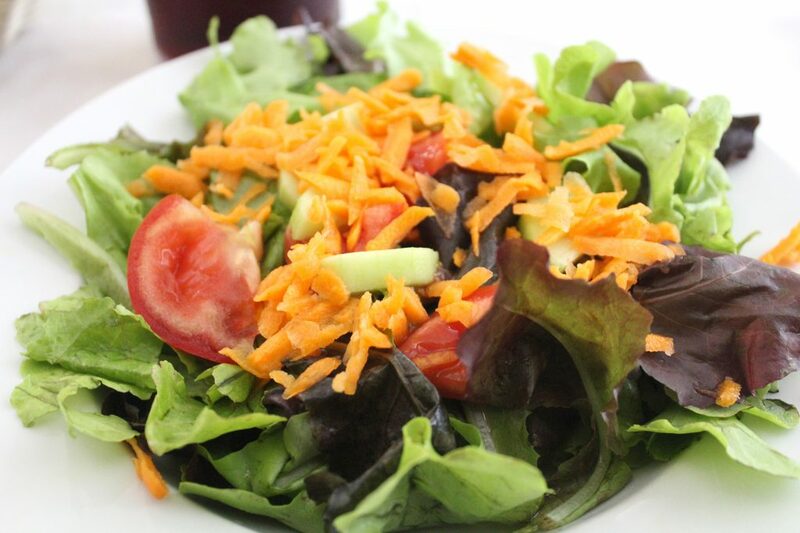 Salad: mixed leaves, tomato, and carrot. Mine: pasta Arrabbiata and roasted chicken. Hubby: gnocchi and veal with white wine sauce. Simple salad – mixed leaves, tomato, and carrot. 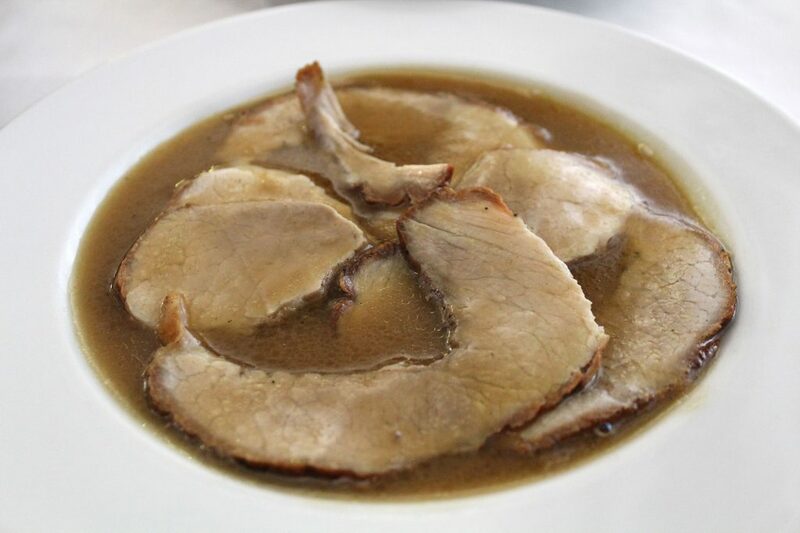 Veal with white wine sauce. Portions were generous and everything super tasty and fresh! I ❤️ my arrabbiata pasta and roasted chicken. Pasta was cooked al dente and that sauce was simply wonderful. Hubby’s dishes were identically great both in terms of quality and flavour. 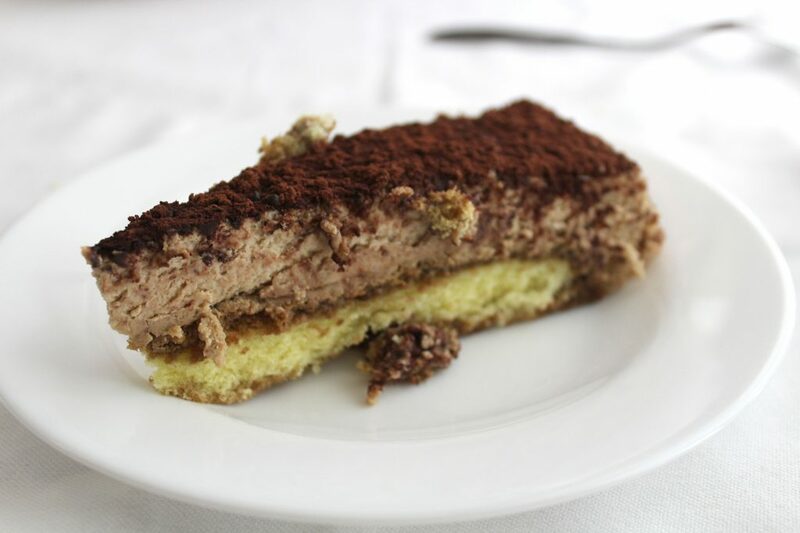 To finish our happy meal, we decided to share their homemade tiramisu, and … guess what, another winner! It was super creamy with an amazing coffee kick. YUM! 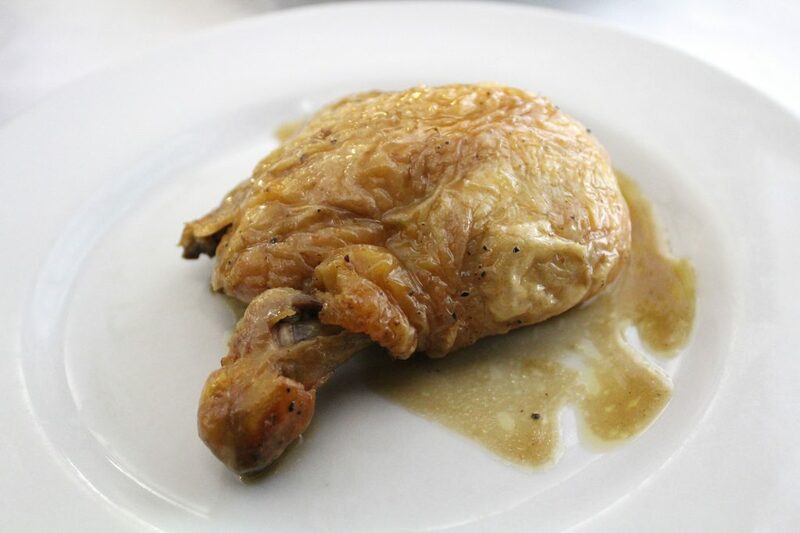 If you’re Rome, it is a no-brainer to visit the Colosseum, so take advantage and plan your lunch to be at Trattoria da Valentino. From the area where the Colosseum is, it is like 5 minutes walking. The atmosphere is relaxing and comfy, not packed at all. Staff super friendly and amazing food for a more than honest price.